Here are some facts about Greece. 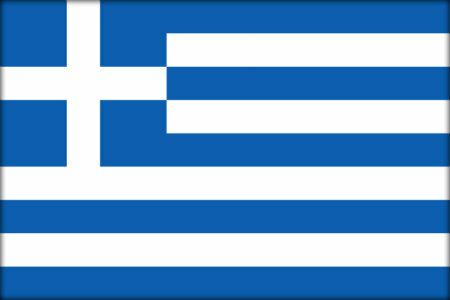 Greece is located in southeast Europe, at the crossroads of Europe, Asia and Africa. It covers an area of 132,000 square km and is bordered by Albania, Macedonia, Bulgaria and Turkey. It is considered to be the birthplace of western civilization. Greek states in 800 and 700 BC developed advanced ideas in the arts, science, mathematics and literature. Greece is a mountainous country and has the 11th longest coastline of any country, because of its many islands. There are over 2,000 Greek islands, although only about 200 are inhabited. Mount Olympus is the country’s highest point at almost 3,000 metres and was the home of the Greek gods. During World War II, the Greek resistance used the mountain as a hideout. Olympic Games were first held in Greece around 900 BC, in honour of the god Zeus. Winners were given olive leaf wreaths and a truce was declared so that enemy tribes could compete. About 3.6 million people, 40 percent of the population, live in the capital Athens. It has been inhabited for over 7,000 years, making it one of the oldest cities. The Parthenon in Athens was built as a temple in 447 BC. Sculptures from the building, known as the Elgin Marbles, are in the British Museum in London, having been taken from Greece in 1812. Thessaloniki has been voted one of the world’s best party cities. Santorini, which is a volcanic island, has been voted as one of the world’s best islands. Many doors, windowsills, domes and other building features in Greece are painted turquoise blue. An ancient belief is that the colour keeps evil out of the building. The first Greek tragedy was performed in 534 BC and written by Thespis, from where the word thespian comes. The Odyssey, written by Homer in 800 BC, is one of the world’s most famous poems. Check out our resources on Ancient Greece.